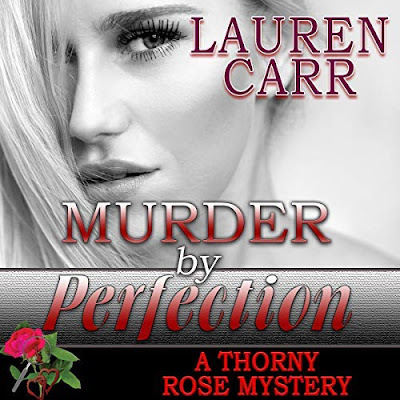 I just loved the whole package of this book. I loved the story, time period (WWII), and the characters. A very character driven story. A must read! 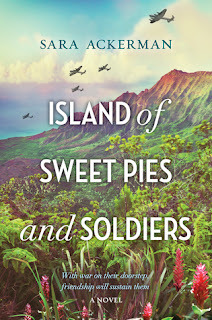 Island of Sweet Pies and Soldiers by Sara Ackerman. 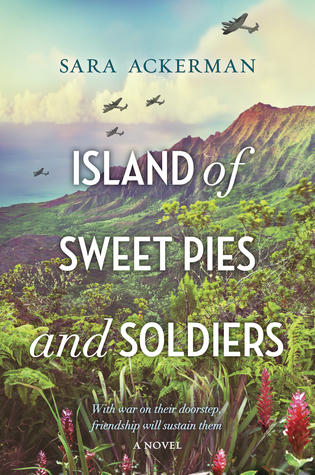 Instantly, I was transported back in time and on the tropical island of Hawaii. It was like I was right there with Violet, Ella, and the other women. While, the men are present in this story; it is the women that brought the story to life with their powerful voices, story, and personalities. This is what I am speaking of when I mention character driven story. Ella seemed so mature for her age. Partly this had to do with the big secret she was keeping. Also, she was protective of her mother. Because the story was so good, I didn't try to rush it by worrying about what this big secret was that Ella was keeping until the reveal. Which, I want to comment on the ending did end on a good solid note. There is nothing worse than reading a book only to get a weak ending. Ms. Ackerman has a new fan in me.